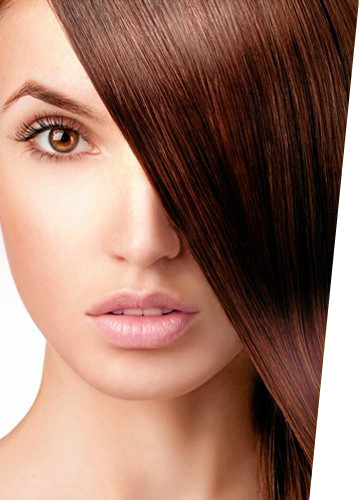 After frequent dyes and bends, pollution and other factors, hair becomes brittle, dry and dull, losing volume. To bring back hair to its beauty and softness It is now possible, thanks to the innovative BOTOX CAPILLARE that through CAPILLAR ACID and KERATIN penetrates hair providing it of hydration and restructuring its shaft. HYALURONIC ACID It is already present in our level HYDRATION, TURGIDITY, PLASICITY and VISCOSITY of our tissue, including hair. Its main role is to reactivate cellular functions within tissues, giving it brightness and filling the anti-aesthetic lines that damage hair shaft. CHERATINE is a protein rich in VITAMINS and OLIGOMINERALS that provides to hair elasticity, strength and volume. CHERATINE is present in our body, it can be destroyed by using hair dyes and aggressive shampoos.